The deep sea may be what we know least about when it comes to the planet we call home. Until recently, bird migration wasn’t too far behind it. Thanks to incredible advancements in technology in recent decades, however, we are beginning to piece together much clearer pictures of exactly where the birds come from and go as they pass through our backyards and nearby green spaces. 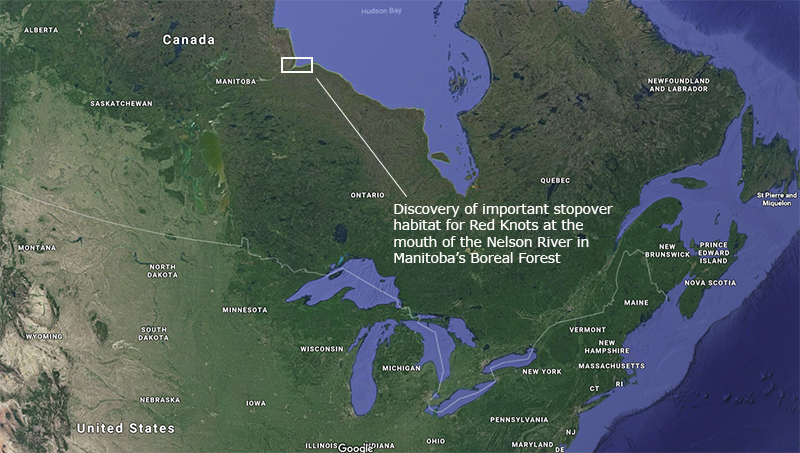 These advancements continue to confirm two things we long believed: that the North American Boreal Forest truly is a powerhouse when it comes to supplying migratory birds, and that the birds that are born there go on to grace nearly every type of habitat imaginable from southern Canada down to the southern tip of South America. Nearly half of the bird species commonly found in the U.S. and Canada nest in or rely on the Boreal for habitat. But as those migrants pass by us, we can’t help but wonder where within the vast Boreal they came from and where they’re headed to next. From tiny light-level geolocators that estimate a bird’s location based on daylight hours to satellite tracking devices that communicate precise locations of birds in near-real time, we’re finding out more and more where our migrants come from and go. We can even narrow down the range of where a bird came from by peeking into its DNA and looking for regionally specific genetic markers. 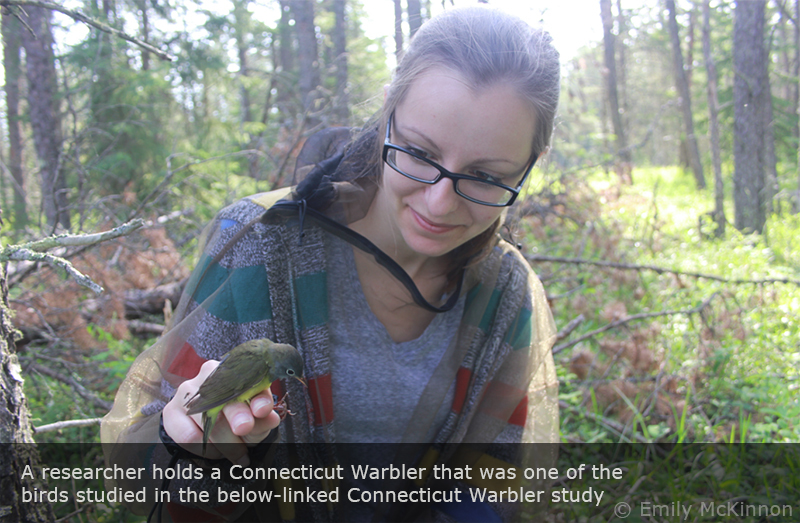 These technologies have also been used to solve longstanding mysteries, such as why birds like the Blackpoll and Connecticut Warbler appear more often along the east coast of the U.S. during spring than fall. Two recent studies found that these boreal-breeders migrate in a clocklike annual pattern, jutting way out over the Atlantic Ocean during fall to reach the Caribbean and South America—an extreme feat for such small birds—while opting for a more land-friendly route that comes up through the southeastern U.S. in the spring (more on Blackpoll Warbler study here and Connecticut Warbler study here). 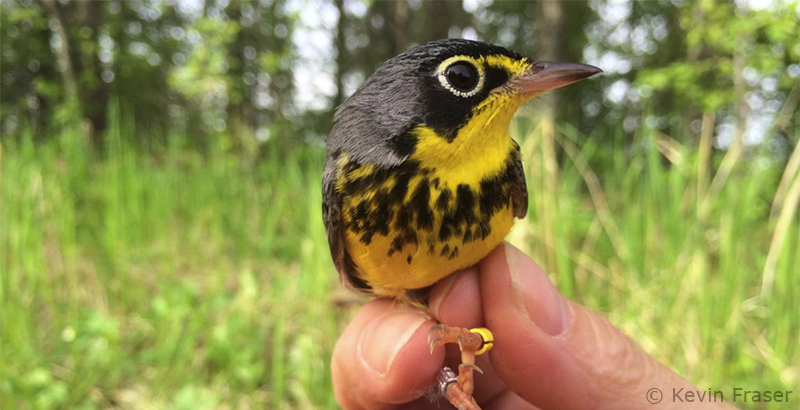 These discoveries are not just helping to tickle the most creative corners of our imagination, they’re also helping to identify critical habitat for birds that may have otherwise been overlooked, including in some of the most remote parts of the Boreal Forest. Take the Red Knot, for example. This species has captured the attention of researchers due to its alarming population decline in recent decades, resulting in new studies to get a better sense of its life cycle. One study that fixed a group of Red Knots with geolocators as they stopped to rest and refuel in Delaware Bay found that a large proportion of them stopped at a never-before-known patch of habitat at the mouth of the Nelson River in northern Manitoba. An aerial survey conducted after confirmed a high level of use, with as much as 10% of its entire North American population being observed stopping there. Without those studies, researchers may not have realized how critical that area is for the species’ population and survival. Finally, citizen science (namely through entering bird counts into online databases) has and continues to be a critical source of data for bird research. Not only has data from organized events like the Christmas Bird Count or Breeding Bird Survey been used for things like Audubon’s report that found many birds ranges are shifting north as a result of climate change, but it’s also proven to be a critical data source in many remote locations (like much of the Boreal Forest), where sending researchers can be expensive. For instance, a new breeding bird atlas is available for the first time in Manitoba thanks to more than 1,000 volunteers logging more than 300,000 observations over 5 years. While the Boreal Forest may be more than a stone’s throw north for many of us, the birds we get to enjoy during fall, winter, and spring provide us with a direct link to that vast northern paradise. Better understanding the full life cycles of migratory birds will not only allow us to better conserve their Boreal Forest nesting grounds, but the habitats they use throughout the rest of the year as well.